Protecting your home from intruders does not need to be complicated or expensive. While there is always the option to invest in a high-end home security system to protect your home and family, taking these six simple steps can also help improve home security. Affordable and reliable products make it simple to improve home security through technology. These products are easy to install and set up, making them a great do-it-yourself option. There are numerous products available to help you protect and monitor your home from your smartphone. Using timers on your lights is one of the easiest ways you can make your home look occupied while you are away. A well-lit home will deter burglars, and smartphone apps make it easy to set up an effective schedule so you can turn your lights on and off remotely. Smart locks can be added to your doors so that you can let neighbors in to take care of things while on vacation and then lock the house back up. Smart sensors on your doors and windows can detect opening or motion and alert you immediately via your smartphone. Installing motion sensor flood lights on the exterior of your home is a simple way to improve home security. These lights can be set to turn on when motion is detected. Burglars do not want to be seen, so the bright lights often cause them to retreat and leave your property alone. Security cameras are another easy do-it-yourself home security option. Many security cameras can be monitored through your smartphone and you can configure your settings so that you are alerted when your camera detects motion. Position the cameras so there are clear views of potential entry points. Make sure the cameras are visible, as the mere presence of the cameras may be enough to deter potential burglars. There are many other steps you can take to improve home security beyond using technology or home automation. Even these simple steps can be very effective. Keep plants around your home trimmed so that your landscaping cannot serve as cover for potential burglars. Also pay attention to trees around your home, as an easily-climbed tree could provide unintended access to a second-floor window. Consider planting thorny or prickly plants under windows to serve as a natural barrier to your home. If you have a home security system, prominently display the stickers and signs advertising its presence. These signs will make it clear to potential burglars that your house is well-protected. Even if you do not actually have a security system, placing fake home security signs around your property can still deter burglars. You can also do the same with “beware of dog” signs. 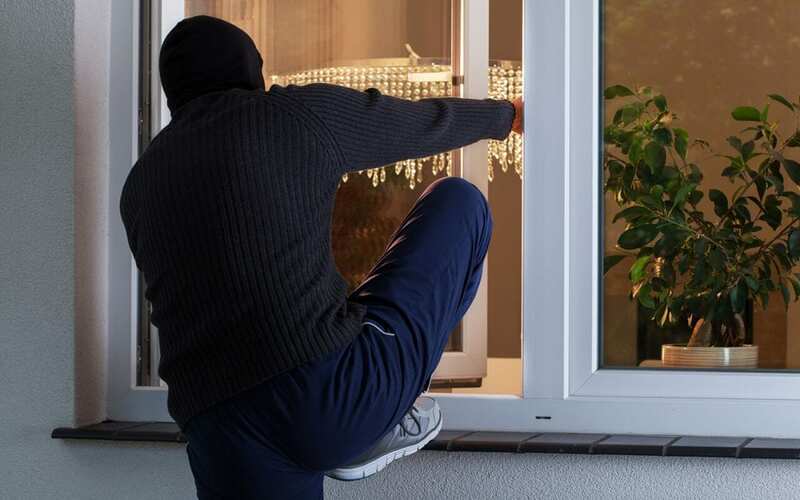 Burglars are looking for low-risk targets, and if they think your home is protected by a security system or a dog, they may reconsider breaking in. Perhaps the most effective way to improve home security is to keep your doors and windows securely locked. Replace any loose or broken locks. If you keep an extra key outside, secure it in a combination lockbox. Consider installing window stops to prevent windows from being opened more than a few inches. Do not leave windows open or unlocked when you are away from home, and lock all the doors and windows before you go to bed. Professional Inspection Network serves Southern California with home inspection services. Contact us to book an appointment.